Spend over two weeks traveling to the most magnificent natural, cultural and historical sights of Vietnam. Full of activities that suit all age groups, this trip promises to be the perfect family experience. 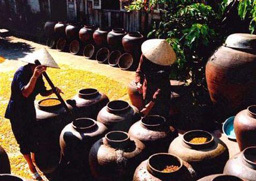 Discover the delicious local cuisine, join a cycle tour in Thuy Bieu eco-village and meet friendly locals, wander around the poetic Hue and ancient town in Hoi An and finally, dip into the peace and beauty of the Mekong Delta. 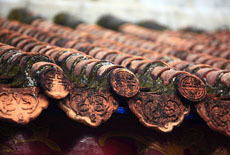 You are guaranteed to discover the essence of the orient! 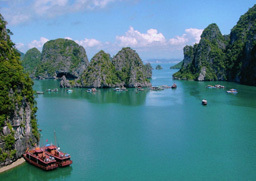 There will also be plenty of time to kick back and relax both in the natural wonder Halong Bay and on Phu Quoc Island. This journey has all the ingredients for a memorable family trip. An incredible journey promising to be unforgettable! 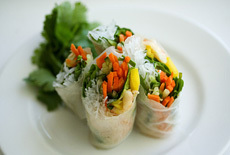 Upon arrival at Hanoi airport, you will be warmly welcomed and brought to your hotel for check-in. The day is yours to spend freely. Overnight at hotel in Hanoi. Have breakfast at hotel before being picked up and brought to our cooking class. You will meet the chef and depending on your preference, head to the local market to shop for ingredients. 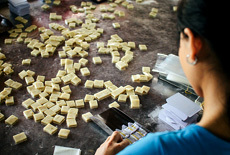 This is a chance to really discover what food in Vietnam is all about. At the end of you class you will taste the dishes you have prepared. The expert chef will give feedback on your cooking skills. Take a short break after lunch at your class. 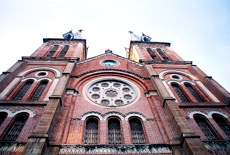 You will spend afternoon exploring Hanoi. The first site will be Temple of Literature constructed in 1070 to worship Confucius, which served as the first Royal National University in Vietnam. The site also honors 82 Vietnamese doctorates who passed a number of rigid exams in the feudal ages. Their names, birthdays and birthplaces are engraved in 82 headstones perched on stone tortoises. It is widely believed that touching the heads of these tortoises will bring luck. Its peaceful green compound with its neatly maintained lawns, gardens and lotus ponds make it a tranquil hideaway from the city’s bustle and heat. The tour will continue at the Museum of Ethnology (closed on Mondays, the alternative being the History Museum), which offers informative and well-documented displays of the country’s 54 ethnic groups, including elaborate and colorful hill tribe costumes. The display continues in the museum’s garden with fascinating examples of traditional houses of numerous minority groups, from the Kinhs to the ethnic groups of the Central Highlands. Overnight at the hotel in Hanoi. 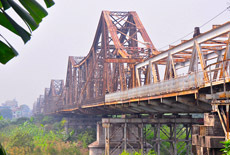 Enjoy breakfast the hotel and then start a 3.5-hour drive through the Red River Delta to Halong, 180km from Hanoi. There will be a few photo and coffee breaks en route before arriving in Halong. You will embark a refurbished wooden sailing junk for a cruise past limestone cliffs emerging from the emerald waters of Halong Bay, giving you the chance to take in the stunning scenery of this World Heritage Site. On board you will be served a sumptuous fresh, local seafood lunch followed by a swim and exploration of some of the limestone caves in the area. When the sun goes down the junk will drop anchor for the night nearby a remote island. Aboard the vessel, surrounded by this stunning seascape you will attend our Vietnamese cooking demonstration on the sundeck. At the break of dawn you can join a Tai Chi session on the sundeck, after which a sunrise breakfast with tea and coffee will be served. Transfer a smaller boat to cruise to some of Halong Bay’s most undiscovered spots including Cua Van fishing village, Doi Cave or Ho Ba Ham area with its Three Peaches beach. Locations depend on tide and weather conditions. Enjoy a leisurely day of kayaking and swimming. A multi-course lunch will be served midday. Pack lightly: swimwear and a set of dry clothes and there may be some walking through shallow water and over slippery rocks so bring appropriate shoes. At 4:00pm you will return to the mother boat. Enjoy your dinner on board. Squid fishing or relax and chat with your partner. Overnight on board. Tai Chi session on the sundeck at the break of dawn. Coffee, tea, cookies and pastries are served for breakfast. Explore Surprise Cave (Hang Sung Sot), one of the largest and most famous grottoes in the entire Halong Bay. Check-outof your cabin and settle the bills. Arrive back at Halong pier, disembark and meet your driver who will take you back to the airport for flight to Hue. On arrival, you are picked up and transfered to hotel for check in. Overnight in Hue. 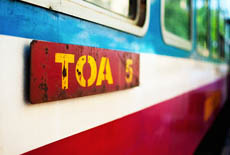 After breakfast, you will embark a boat at Toa Kham wharf. Visit Dong Ba market and buy the necessary ingredients for your cooking class with our chef. 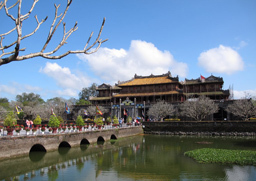 Visit a Thien Mu Pagoda, the symbol of Hue city. Back to the boat for a scenic cruise to Thuy Bieu eco-village, famous for its Green Tea fruit. 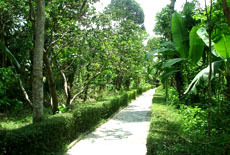 Cycle or walk around Thuy Bieu. Visit the local garden, the old ancestral temple and communicate with the locals. Visit a family making incense to discover the daily life of local people who are working strenuously with joy and enthusiasm. Breakfast at hotel before starting your Hue city tour with a visit to Hue Imperial City, the last vestige of Vietnam’s royal era including: Flag Tower, Ngo Mon Gate, Nine Dynastic Urns, Nine Holy Cannons, Thai Hoa Palace and the Forbidden Purple City (Tu Cam Thanh). Have lunch at a local restaurant. Morning drive on the Mandarin road, a scenic journey from Hue to Hoi An, which allows you to see a picturesque Vietnam with stunning beaches and lush tropical forest. 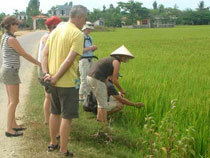 Take some photos en route before arriving at Hoi An’s ancient town, upon arrival check-in at your hotel and relax. In the afternoon explore Hoi An’s ancient town whiach was once a major international trading port from the 15th to the 19th century. The old town features a fantastic combination of Chinese, Dutch, Japanese and Portuguese culture. Step back in time while strolling through its narrow streets decortated with countless colorful lanterns. 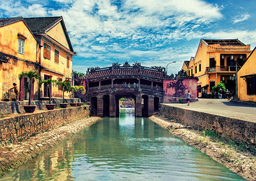 Visit the most famed examples of Hoi An’s architecture, the Japanese Covered Bridge, and Chinese street, Phung Hung old house, Hoi An market and Hoi An’s ancient port. 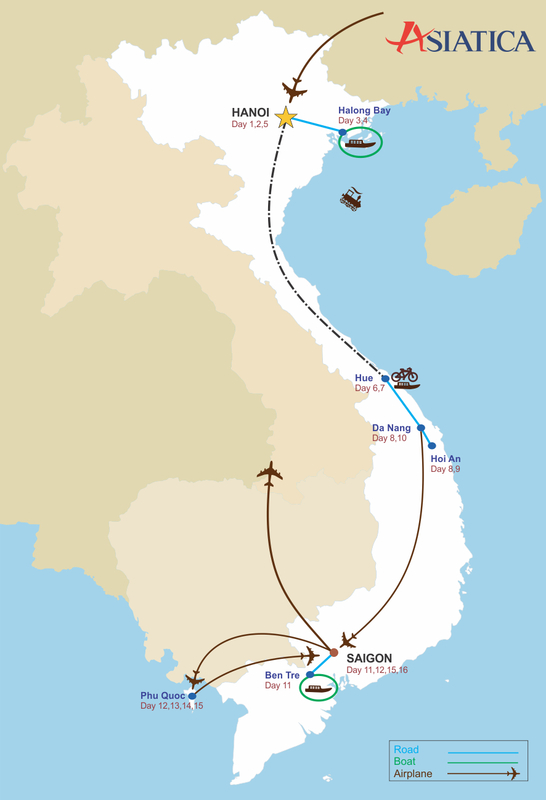 After breakfast you will be taken to Danang airport for your flight to Ho Chi Minh City”. Upon arrival check into your hotel and relax. In the afternoon, you will visit the Notre Dame Cathedral and the General Post Office. Travel along Dong Khoi street, to visit the Opera House and the Peoples’ Committee building built in 1897 by French architect Ferret Eugene, the 800-seat Opera House was once used as the home of the Lower House Assembly of South Vietnam after 1956, continue the tour at the The Reunification Palace formerly know as Presidential Palace, which used to be the residence of the President of South Vietnam until the end of April 1975. Overnight at hotel in Ho Chi Minh City. You will be picked up at your hotel at 8:30am and brought to Ben Tre. 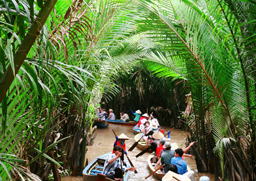 On arrival at Hung you will embark a boat to cruise along Ben Tre River, one of tributaries of the mighty. Mekong. 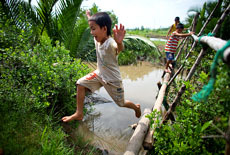 Enjoy the lively activities along the river such as fishing and water transferring. 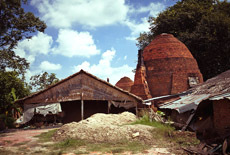 You will stop at brickwork to see how bricks are made in traditional style by printing and baking, visit one of plenty of coconut processing workshops located along the canal. Turn down natural scissors creek, to head to a little village. Take a bicycle-cart along the village paths, stop at a farmer’s house for lunch. Continue walking to a village where sleeping mats are produced before taking a rowing-boat along water palm creek, back to Hung Vuong pier. 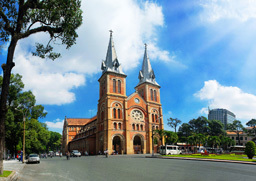 Head back to Ho Chi Minh City, stopping off along the way to see the beautiful Vinh Trang Pagoda. Overnight at hotel in Ho Chi Minh City. You will be picked up by our driver at your hotel in Ho Chi Minh City and taken to Tan Son Nhat airport for your flight to Phu Quoc. Arrive on Phu Quoc and check into your hotel. 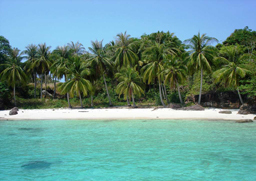 Free time to relax and explore the islan on your own. 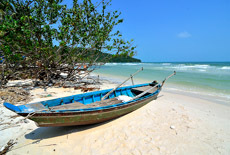 Phu Quoc is a paradise for sun and sea lovers. Here, you can spend a whole day whiling away in a hammock on the deserted beaches, listening to the sound of the surf until the mesmerizing sunset spreads over the water or the moon turns the sea silver and stars twinkle in the sky. Those members of the family who love being active can keep themselves busy with cycling, trekking, snorkeling, scuba diving and fishing. Overnight at hotel in Phu Quoc. Free time to relax on the beach without guide and driver. Overnight at hotel in Phu Quoc. Free time until heading to the airport for your flight back to Ho Chi Minh City. Overnight at hotel in Ho Chi Minh City. Free time for shopping or exploring Ho Chi Minh City until you are taken to Tan Son Nhat airport for your departure flight. The hotel room is available until noon only. Asiatica Travel’s services end here. 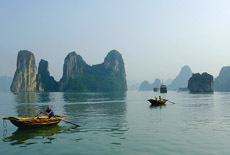 Boat trips as mentioned in the program, including comfortable boat in Halong Bay with private cabin. Ha Long Bay (literally “Bay of Descending Dragon”) is a must see for any visitor to Vietnam. 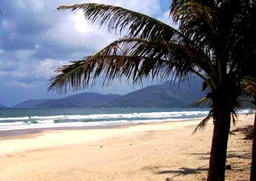 With an international airport, Da Nang has become the gateway to Central Vietnam. This coastal city is favorably located near three UNESCO heritage sites: Hue imperial city, Hoi An ancient town and My Son holy land. Mirrored in the poetic Thu Bon River, the little postcard-setting Hoi An is perhaps the most beautiful old town in Vietnam. 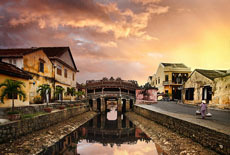 Not as majestic as Hue or flamboyant as Cho Lon in Saigon, Hoi An with its gentle grace is a big surprise to any jaded mind. Its quiet lanes lighted with lanterns, sleeping old houses and dazzling riverfront restaurants, carry an echo of history and charm. Ho Chi Minh City went by several different names: the French figuratively put it “Pearl of the Far East”, the American named it “Saigon” and the Chinese called it “Cho Lon”. Phu Quoc is the ultimate destination for a perfect beach getaway in Vietnam. With gorgeous beaches, lush tropical primeval forests and wealthy marine life, Phu Quoc is alluring huge crowd for its exclusive beauty.